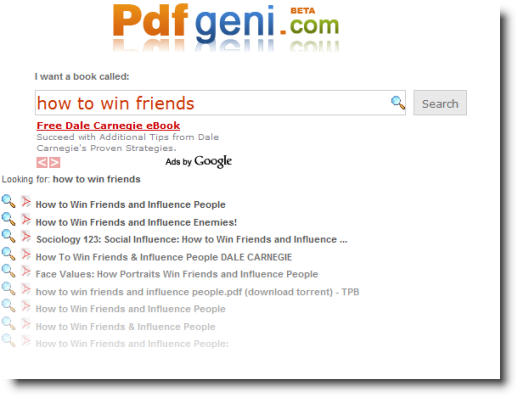 www.pdfgeni.com is a really neat site I just found. The search box comes up on the first page. Type in your search and it returns tons of results for free ebooks, articles, reports, or just about anything in a PDF. No need to signup for anything. Besides books, also try searching for a specific article, or subject.